I am a Canadian maker of fun and functional handbags and wallets. 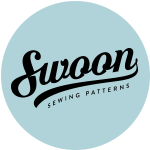 I have been sewing since I was 6 years old, and love to share my favourite patterns, tips and tricks I have discovered along the way. Some of my links are affiliate links, that I am compensated for, if you purchase the pattern. HOWEVER, I only share patterns that I really love and have actually made! For example: You will never see an Amazon, Weight Loss, or Printer Cartridge Affiliates on here! Happy 150 birthday Canada, I’m very proud that we have some amazing bag designers all around us. I’m just starting to make bags and find it really fun. Isn’t it?? And addictive too. I saw a similar bag that was on sale for $90…. I thought I could make one just need a pattern…. My search is over! Oh really? Well, I’m glad you found the pattern!! Love your bag comparison. It helps to see them side by side. I love doing photos like that. It really puts them in perspective. Love this pattern, will check it out. That’s a super good-looking bag! You really have an eye for fabric selection/placement. That’s a super nice-looking bag! And thanks for the comparison! Thank you! And you’re welcome. What a gorgeous bag! I love the shape of it, your fabric placement is perfect! I love getting inspiration from the fabric choices of bags made by others. Thanks for sharing all the great closeup photos of your bag. bag making is fun and each is so, sew! useful. Beautiful bag, nice choice of fabrics. Love the Louise barrel bag. Also looks fab in white leather accents.